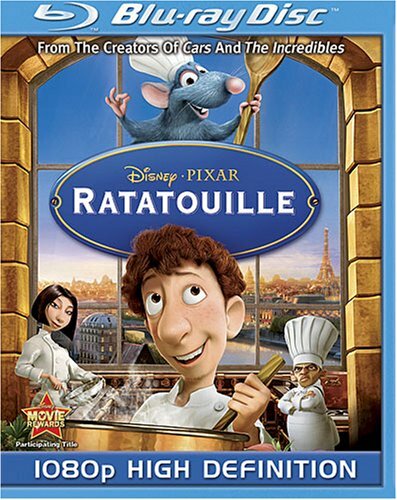 Animated Characters: Remy, Skinner, Auguste Gusteau, Linguini, Django, Anton Ego, Colette, Horst, Lalo, Francois, Larousse, Mustafa, Talon Labarthe, Pompidou, Health Inspector, Git, Ambrister Minion. 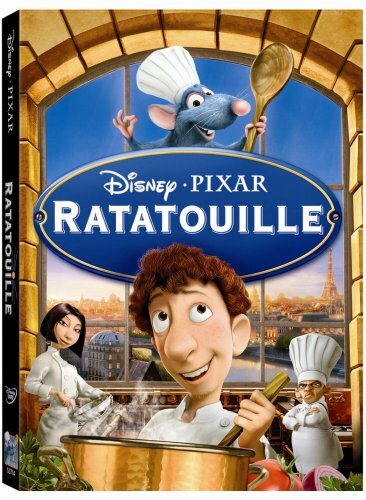 Awards: Academy Award Nominee, Best Animated Feature, 2008. Academy Award Nominee, Best Original Screenplay, Brad Bird, Jan Pinkava and Jim Capobianco, 2008. Academy Award Nominee, Best Sound Mixing, 2008. Academy Award Nominee, Best Sound Editing, 2008. Academy Award Nominee, Best Original Score, Michael Giacchino, 2008. Nominee, Annie Award, Best Animated Feature, 2008. Nominee, Annie Award, Animated Effects, Gary Bruins, 2008. Nominee, Annie Award, Animated Effects, Jon Reisch, 2008. Nominee, Annie Award, Character Animation in a Feature Production, Michal Makarewicz, 2008. Nominee, Annie Award, Character Design in an Animated Feature Production, Carter Goodrich, 2008. Nominee, Annie Award, Directing in an Animated Feature Production, Brad Bird, 2008. Nominee, Annie Award, Music in an Animated Feature Production, Michael Giacchino, 2008. Nominee, Annie Award, Production Design in an Animated Feature, Harley Jessup, 2008. Nominee, Annie Award, Storyboarding in an Animated Feature Production, Ted Mathot, 2008. Nominee, Annie Award, Voice Acting in an Animated Feature Production, Janeane Garofalo, Voice of Collette, 2008. Nominee, Annie Award, Voice Acting in an Animated Feature Production, Ian Holm, Voice of Skinner, 2008. Nominee, Annie Award, Voice Acting in an Animated Feature Production, Patton Oswalt, Voice of Remy, 2008. Nominee, Annie Award, Writing in an Animated Feature Production, Brad Bird, 2008. Alternate Title: "Untitled Rodent Project (Working Title)." Estimated budget of $150 million. This film made $623.7 million in it's initial theatrical release.